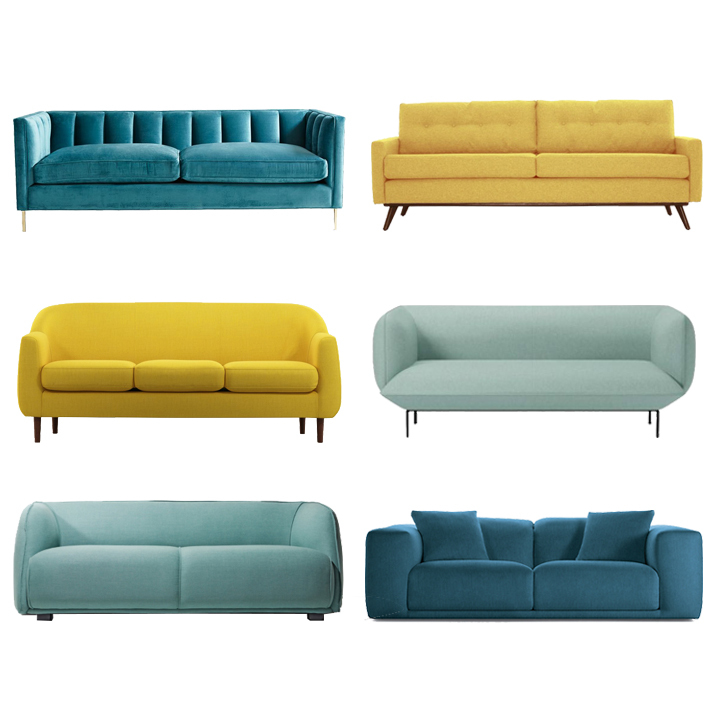 If you are like a lot of my clients lately, you might be searching for the perfect colorful modern sofa. It’s a trend I’m seeing a lot more of and I’m really loving these vibrant colors in classic profiles. Are you more of a rounded sofa or a squared-off sofa kind of person?